A delicious morning meal without the extra carbs. Step 1 Break up banana and pulse through food processor until a consistent mash forms. Step 2 Add your eggs, cinnamon, nutmeg and let the food processor go until all ingredients are well incorporated. Step 3 Lightly grease a skillet over medium heat. Step 4 Pour batter into pan and flip once bubbles start to form. 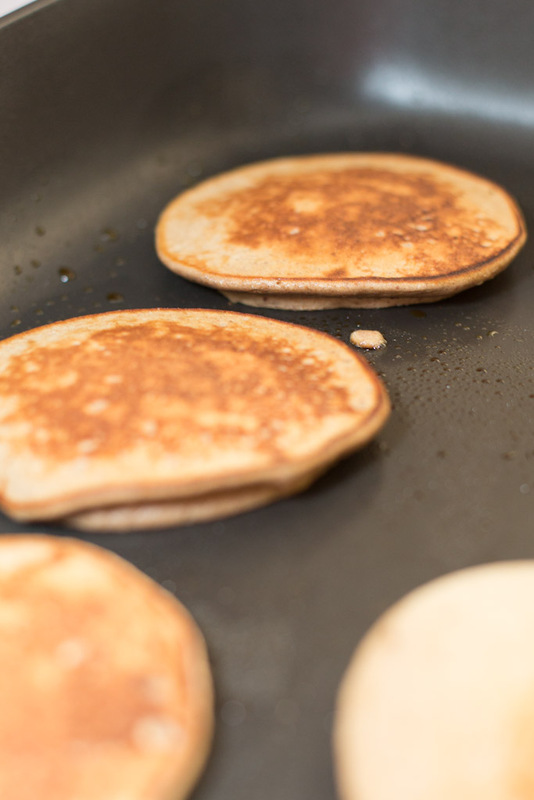 Step 5 When the pancake is golden brown on both sides, remove from pan and enjoy!